all of your motor vehicle accident claims. the team at Coastal Compensation can help. for personal injury may be sought. With an expert team of lawyers specialising in car accident cases, Coastal Compensation can assist with all of your motor vehicle accident claims. If you have suffered from a workplace injury, the team at Coastal Compensation can help. There are many different types of accidents where, through the fault of another person or company, a person may suffer an injury. The team at Coastal Compensation Law have worked on a range of cases involving supermarket injury claims. It’s not easy when you find yourself in the position of having to make a claim on a loved one’s Life Insurance Policy. You may have received a lump sum payment for an injury you have sustained but are now no longer able to work. If you have found yourself involved in any type of assault or police matter, you need to get advice. Coastal Compensation Law Specialists are a local Central Coast law firm with offices in both Gosford and Wyong. 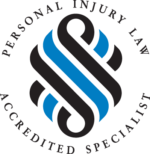 We have a dedicated team of lawyers with over 50 years’ combined experience in personal injury and work related claims including car accidents, negligence and a wide range of other compensation issues. Importantly, we operate on a purely No Win No Fee basis, offering you peace of mind. CCLS also carries the cost of all your medical and other expert reports. You don’t have the financial burden of funding your case to get evidence you need. *Conditions Apply. I am so glad I chose James Parkin from Coastal Compensation Law Specialists (CCLS) to represent me in my personal injury claim. 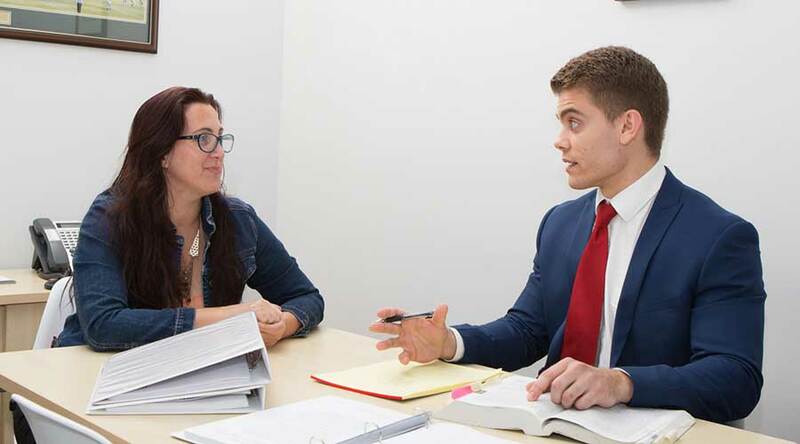 Choosing which lawyer to represent me was a daunting task, but I chose CCLS and when I first met James and explained my situation, I felt immediately at ease that I had chosen the right lawyer. James is very professional and answered the questions I had in an honest and sincere manner. After thorough investigation by James of my circumstances, I found James very articulate and the team at CCLS were very proficient and courteous. Thankfully a resolution was gained quicker than I anticipated and I am very grateful to James and his team for their support and encouragement. I have no hesitation in recommending James and CCLS to anyone who requires the expertise of a Compensation Lawyer. I was involved in an accident in May 2017 where I was a pedestrian struck by a motor vehicle. I sustained both physical and psychological injuries as a result of the accident. I needed legal assistance with making a claim against the relevant CTP insurer and luckily I contacted Coastal Compensation Law Specialists (CCLS) who helped me prepare and lodge the claim forms in time. James Parkin, Senior Associate, was most helpful and sympathetic throughout the whole process. I was very traumatised by what happened to me in the accident and James was accommodating and supportive in the way he advised me. I always got to meet with James or his colleague, Kye Bruce, regarding my claim which resolved recently. I got an amazing outcome and I am very grateful to James, Kye and the team at CCLS for their assistance. I have found the team at CCLS empathetic, sincere and compassionate. They used their knowledge and professional skills to ensure the best possible outcome. Communication was clear and understandable. I would recommend CCLS to anyone who has experienced a workplace injury and requires legal counsel. Following a successful outcome, I was advised by CCLS to pursue a further compensation claim for Work Injury Damages. I achieved a very favourable resolution of the Work Injury Damages claim as well thanks to CCLS. James Parkin and the team at CCLS were very understanding, compassionate, thorough and personable in the provision of their services. James was really supportive and took the time to meet me face to face and made sure I understood every aspect of the claims. I cannot thank James enough for the support he gave me through the whole process – it was so nice to have someone on my side for a change! I was always well informed and felt comfortable with the advice I received at each stage of the claims. I am very grateful for the assistance of CCLS and would recommend them to anyone with a potential compensation claim. Approximately 18 months ago I was in need of a lawyer to assist my elderly uncle in a Compensation claim. Having never needed a lawyer before, I was completely in the dark, but luck was on our side when I approached the firm CCLS. After meeting with them and explaining the situation, they agreed to take on my Uncles case and from that moment on, I knew we were in great hands. It was a long and often drawn out procedure, but everything was always handled with tact, professionalism and courtesy. We were kept well informed at all times and things were always explained in ways that we fully understood. CCLS achieved an excellent result for my Uncle and we are eternally grateful for their help. Whilst I pray to never have need of legal services again, I know that if the time ever comes, I would be in the best of hands and have complete faith in the ability and services of CCLS, and in particular James Parkin, Senior Associate. I have no hesitation in recommending this firm to anyone who needs smart, loyal and trustworthy service. I was run over by a truck when I was in primary school and wanted to see if there was any way I could be compensated for the ongoing issues I have as a result of my injuries. My case had many hurdles to overcome and if it wasn’t for the hard work and dedication of the team at CCLS, I might never have been able to achieve the final amazing financial result. A massive shout out to Michelle Meares who was very professional and made sure I understood everything, every step of the way. Words cannot express how thankful I am and I would recommend CCLS to anyone. CCLS handled my Workers Compensation claim which was lengthy, complex and difficult with many issues to deal with. CCLS performed an exceptional job in ensuring that I received what I was entitled to from the Insurer. Their solicitors and staff have been diligent, proactive, communicative and thoughtful, and always focused on getting the best outcome for me. I highly recommend CCLS. At CBD Law, we pride ourselves on our knowledge, our flexibility and our ability to provide personalised, professional service to our clients, whilst keeping our fees and expenses as affordable as possible. We have offices in both Gosford and Wyong, so get in touch today. These laws allow a tenant to end their tenancy immediately, without penalty, if they or their dependent child are in circumstances of domestic violence. Here are some of our clients testimonials - yes, real people who have taken the time to write to us and say thanks. This was a very disturbing documentary about the opioid use and the impact it has had on increasing the rates of homelessness in addicts and on communities. Some of these opioids include Oxynorm®, OxyContin®, Endone®, Proladone®, Targin®. It's a very addictive pharmaceutical pain killer which has caused the death of many people through accidental overdoes. In Australia National, the amount of oxycodone (found in OxyContin®) being prescribed by doctors increased from 95.1 kg in 1999 to 1270.7 kg in 2008 – a 13-fold increase (see the Australian Drug & Alcohol Foundation website). We imagine these figures have increased even more since 2008. Some of the names this opioid analgesic goes by are hillbilly heroin, oxy, OC and O. If you take a large amount of oxycodone, you could overdose. If you have any of the symptoms below, call an ambulance straight away by dialling triple zero (000). Ambulance officers don’t need to involve the police. If possible, have the medicine with you so the ambulance officers know what has been taken. New website announced. It has a quick exit button and instructions on how to delete your browsing history. Hopefully, it will be of some help people experiencing domestic violence. Family Violence Law Help is a website about domestic and family violence and the law, Australia-wide. How much are you worth for wrongful arrest?